Woohoo! 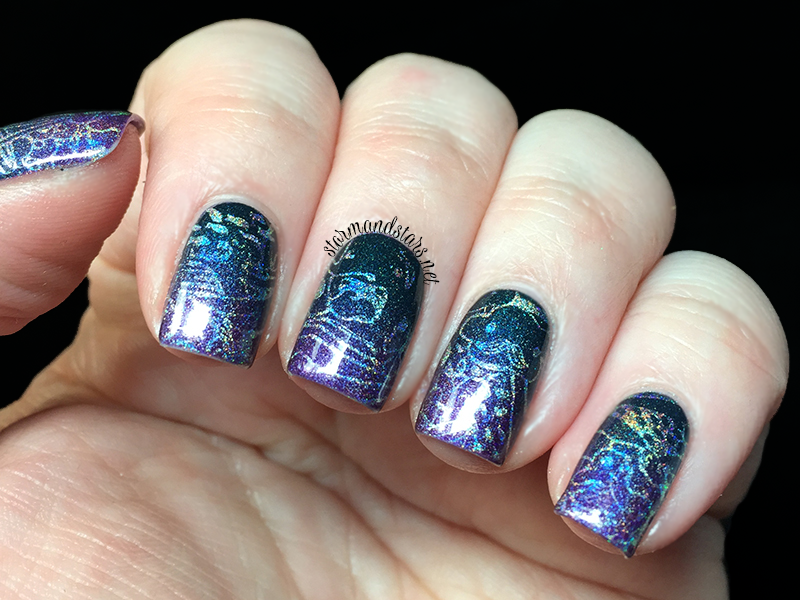 I'm so happy to finally get a blog post up and I'm super excited about the nail art I have for you today. I'm slowly working my way through some review items I have from Born Pretty Store and today I have a review of one of their stamping kits. 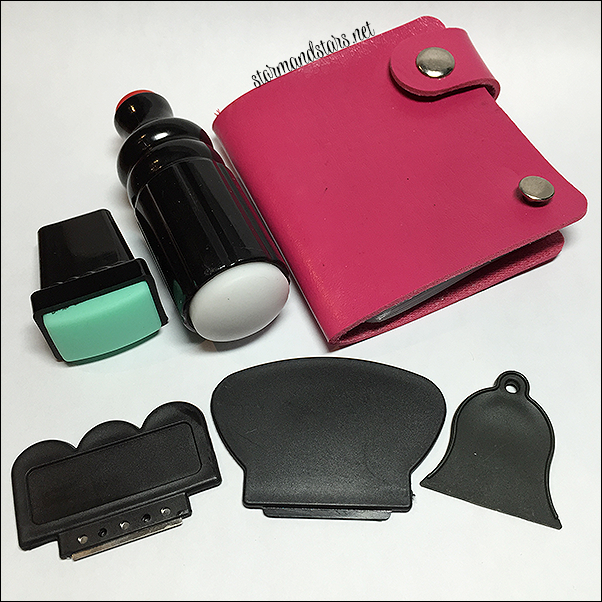 The kit includes two stampers, two plastic scrapers, one scraper with a metal blade and a book to keep your stamping plates in. You can see everything included in the photo below. The smaller mint colored stamper is a firm stamper. 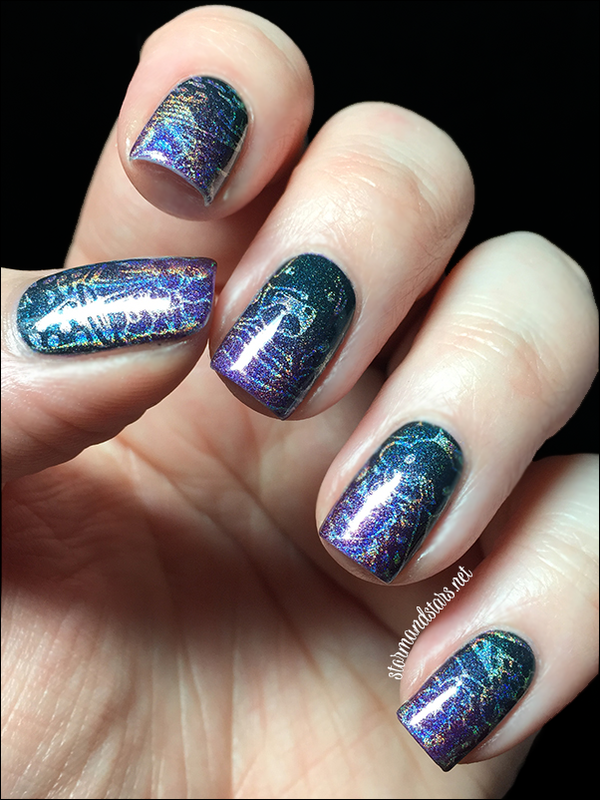 Unfortunately for me, my nails are too long for a full stamp on that one, so I'll show you that another time. The larger white stamper is the super squishy marshmallow stamper. This one is a great size and can pick up an entire image in one go. As for the scrapers, I try not to use the metal one because I don't want to scratch my plates, so I definitely recommend one of the other two. For me, I preferred the larger one as I have larger hands, but is your hands are smaller you might like the more bell shaped scraper. 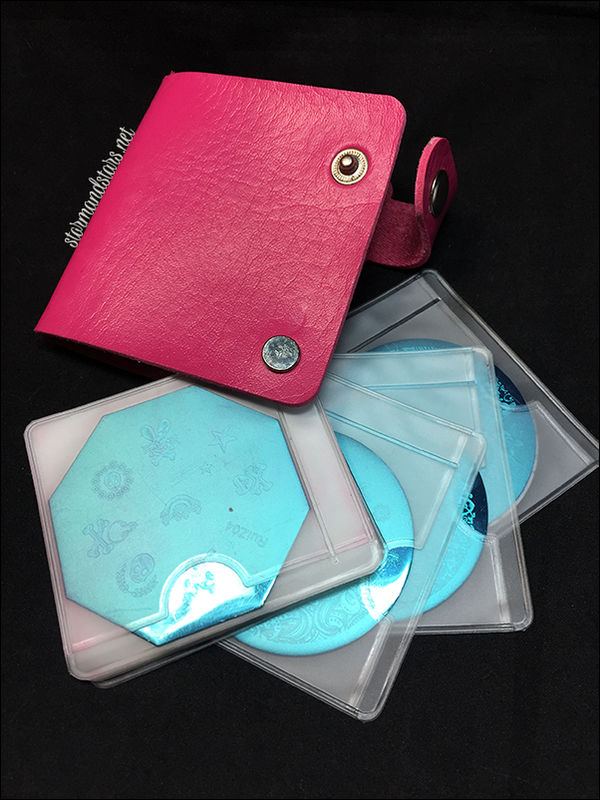 The pink book comes empty and you can fill it with any average size round stamping plates. I was so excited about this because I have a bunch of plates just floating around in my stamping box and it was really nice to get them all put away and organized. If you have a lot of plates you might be better off with a large binder, but if you're like me and only have a hand full, this book is perfect. You can see above how the pages twist out so you can see all your plates. Each page has a slot in the front and back, so you can actually fit quite a few plates in a book. 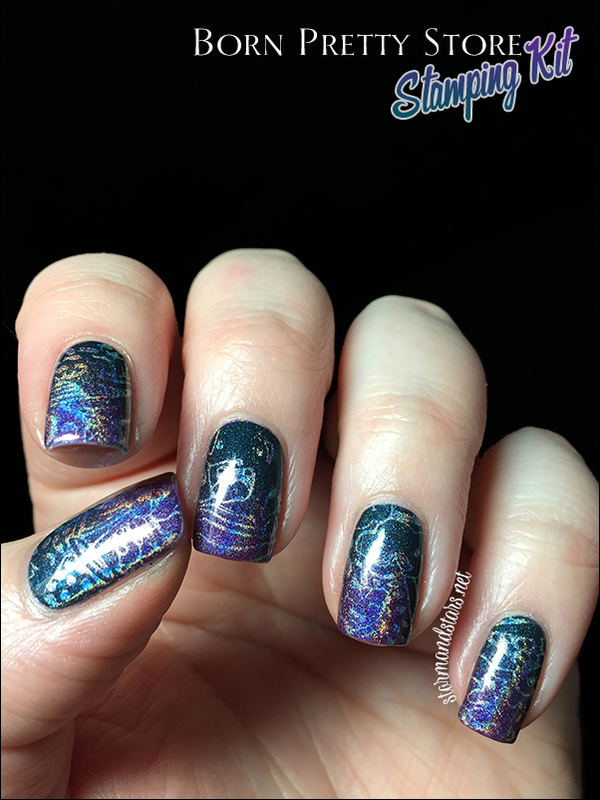 I had heard a lot of good things about the squishy stampers from friends and other nail bloggers, but this was my first time actually trying one. I was really pleasantly surprised how easy this stamper made the process. When I got the stamper I prepped it with some help from a friend. Basically, I lightly buffed the surface of the stamper with a nail file to get all the shine off. You want to be really careful and only do this very lightly so you don't rip or ruin the stamper. 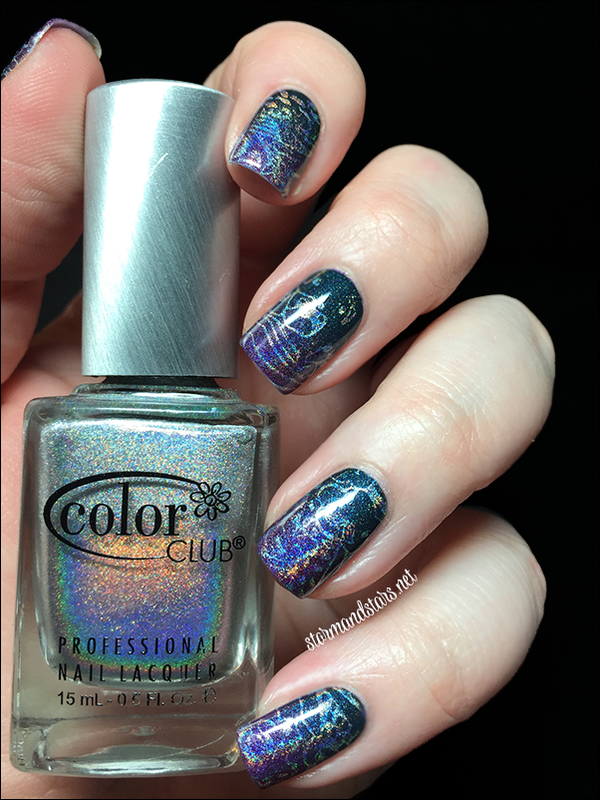 I knew I wanted to do a full stamp over a gradient for my first mani, so I started with a holo gradient using two of my favorite darker holo colors, Liquid Sky Lacquer - Walk On The Wild Side and Enchanted Polish - January 2014. I think it came out pretty good! 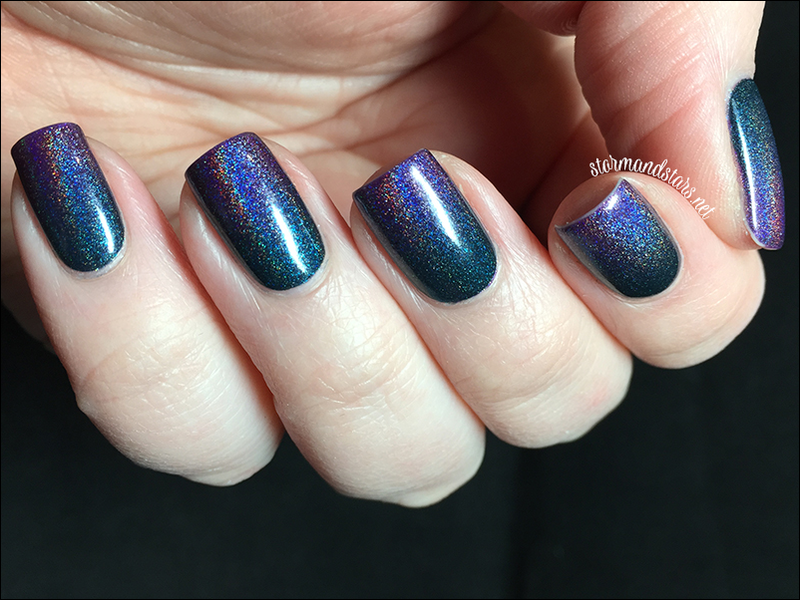 I'm starting to crave bright colors for spring and summer, but these colors are really perfect for this time of year and the level of holo is just incredible in both of them. I wore this mani just like this for a day before I stamped over it. I had some minimal tip wear, but no chips or anything. I gathered everything I needed for stamping before I started because I knew i needed to move quickly. I decided on one of my new MoYou plates for the pattern and Color Club - Harp On It (a silver holo) for the stamping. 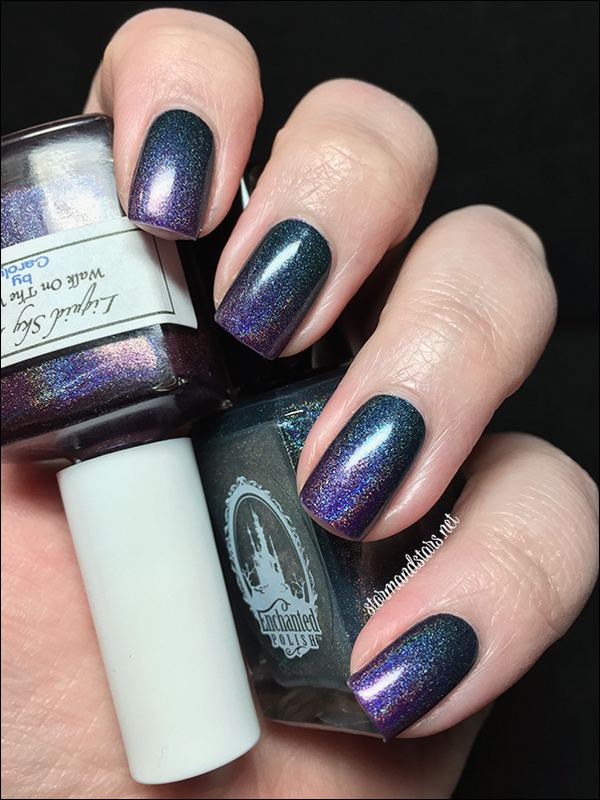 You can never have too much holo right? I liked that this plate had a mish mash of patterns and designs. I knew that no matter where I stamped from I would end up with something cute on my nails and for a first time I wouldn't need to be as precise with the placement. 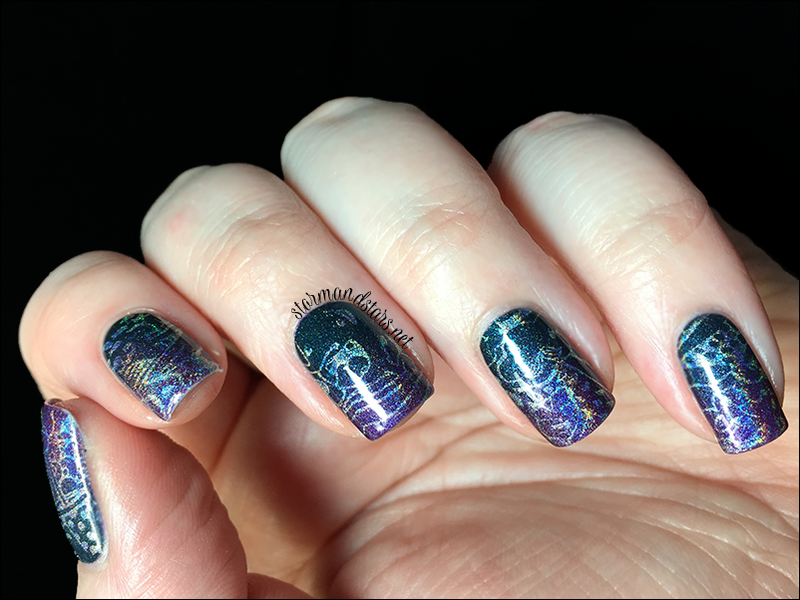 There is so much holo that in the photos its kinda hard to see the exact designs, but I wound up with some mushrooms on my thumb, some sort of character on my middle finger, a cloud with eyes and a moustache on my ring finger and a cute octopus on my pinkie. I absolutely love how these looked on. In person you can really see the definition of the pattern. The squishy stamper worked perfectly and picked up all the lines with no problem, even the tiny thin ones on the moustache. I used a sticky roller to clean off the stamper between uses and it worked great. I don't suggest using the acetone or polish remover with this stamper. Overall I am really really happy with this stamping kit from Born Pretty Store. 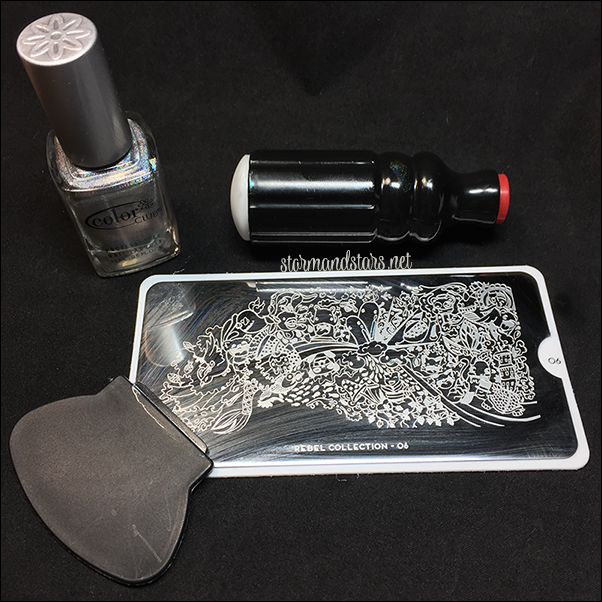 I plan on stamping a lot more now that I have some better supplies and I'm hoping to use the smaller stamper for some smaller characters or images in my nail art. I definitely recommend this stamping kit especially for people who are just starting out stamping. The fact that you can try out two different styles of stampers and three different scrapers, plus a place to put your plates, is really ideal for beginners. I'm so glad I got this stamping kit. This kit retails for $12.18 and you can find it here. It looks like the kit is out of stock currently, but you can find the squishy stamper here, the smaller mint colored stamper here and a similar book here. Make sure to use my code AGBQ10 for 10% off your entire order at checkout and as always, Born Pretty Store provides free worldwide shipping on all orders! Do you do any stamping? What's your favorite tool? My favorite is MoYou's XL (squishy) stamper, totally made stamping fun and easy! I have that same storage book from BP, it's really helpful!